Are you looking for an excellent, theologically sound, and engaging book to help you grow in your faith? 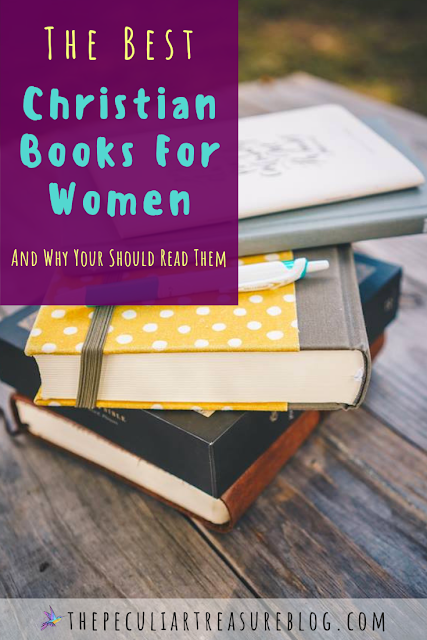 Finding good books that are filled with truth and are helpful in aiding our spiritual growth can seem daunting, but there are so many good ones out there. Find great Christian books for Christian women in today's post on The Peculiar Treasure! Have you ever heard the saying "You are what you read"? I've heard that saying over the years, but didn't really take it that seriously. Don't get me wrong. I totally believe that trash going into my brain is a bad thing, so I make it a point to steer-clear of reading things that will impact me negatively. But I still don't know that I had really thought about the implications of what that phrase "you are what you read" really means. I think it is important for us to acknowledge that it does matter what we read - especially when we are coming to a book to grow. Not all books are created equal, and when we feed our hearts false-teaching, we are playing with fire. 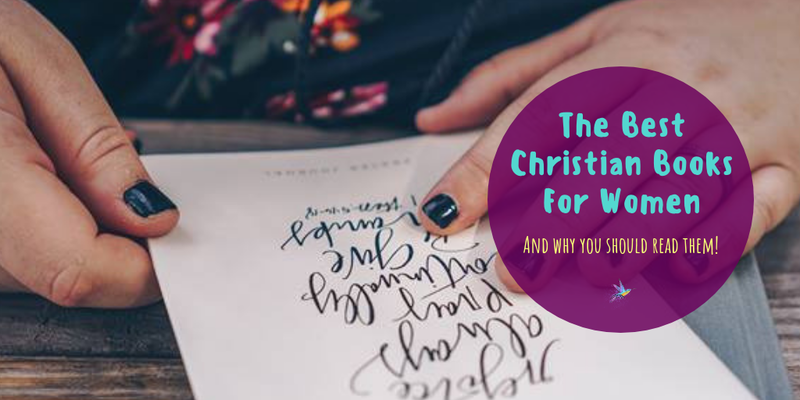 Even if a book isn't blatantly Christian, if we are coming to it for advice or life-help, we have to put on critical lenses to make sure we aren't feeding ourselves something that is contrary to the gospel. And friends, this can be so hard. I would much rather pick up the first pretty book I see on the shelves of the Barnes and Noble Christianity section and be able to trust that there's truth in there. But unfortunately, that's not how it works. Just because a book is labeled "Christian", doesn't mean it's filled with gospel truths! 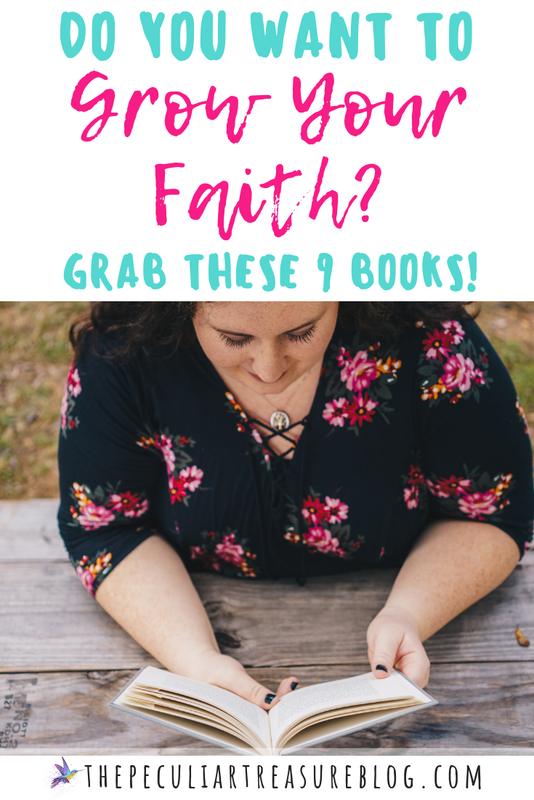 So if you are looking for solid books that are trustworthy and filled with rich, biblical truth, this post is for you. Refined by Wisdom by Me!!!! I am so excited to announce to you all that I wrote a book! This has been in the works for a while now, and I have hinted at it in my TPT email newsletter, but I am so excited to be able to say that I am a published author! My book is officially available on Amazon and I am thrilled! 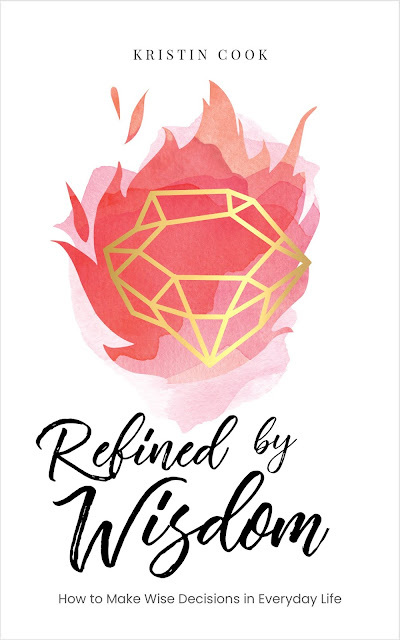 Refined by Wisdom is a 31 Day Devotional that explores the topic of wisdom through daily scripture readings, discussion questions, and journaling. Each day is designed to cover a single topic and teach you how to make biblically wise decisions in everyday situations. I wrote this devotional because I constantly see women (and men) making bad decisions, only to turn around after the consequences have set in asking, "What happened?" But if the Bible had been their guide, I’m confident their decisions would have likely been different. My heart is that we would all improve in this area. And to improve, we have to care enough to want to change. In Refined by Wisdom, you'll find 31 day’s worth of devotionals designed to give biblical wisdom for how to handle specific, everyday situations. These concepts are practical and simple, yet still extremely important for how we live each day. My friend Marsha also wrote a book, and it is beautiful! 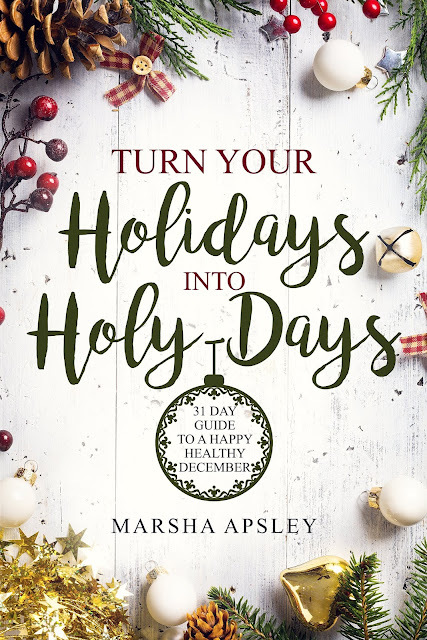 You may remember me sharing Marsha's first book, 40 Days of Faith and Fitness, last year, and now she has published a new devotional that is out just in time for the Christmas season. Turn Your Holidays into Holy-Days: 31 Day Guide to a Happy Healthy December is a combination of healthy living tips as well as devotions to guide you through the holiday season. It also helps you approach the new year with focus and clarity. And although this book takes you through the month of December, the tips shared within can be applied any time. 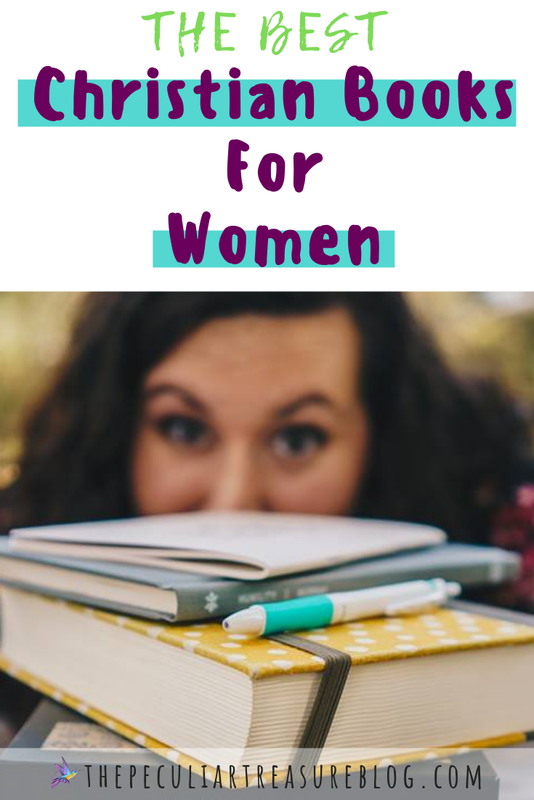 If you are looking for some encouragement in your health journey, or if you simply want a good devotional to help you grow in your faith, this is a great devotional for you to check out! I wanted to give you a solid list of Biblical recommendations, but unfortunately, my list of book I want to read is much longer than the list of books that I have actually read. But I still felt that I could provide you with a good list. I decided to do this by reaching out to trusted, spiritually solid friends and family members and asking them about their favorite books and why they recommend them. The why is very important here, and I was extremely careful to check up on any book I wasn't familiar with at all before adding it to this list. No person is perfect, author or reader. But I do believe that we can make good choices when it comes to the books we read, and I am very happy with the results of these recommendations. I trust them and I believe you can trust them too. "In all honesty, I wasn’t sure what to expect when I began reading “Gay Girl, Good God.” Though I wasn’t extremely familiar with Jackie Hill Perry (JHP for short), I’d heard her testimony of coming to faith in Christ after living “the lifestyle” as she frequently refers to practicing a lifestyle of homosexuality throughout the book. Within the first chapter I knew this book was different than other books I’d read centering on the topic of how the church can minister to the LGBTQ community. The vulnerability and rawness with which JHP shares her story makes the reader feel like they are walking her journey with her. "The Envy of Eve biblically identifies the root of coveting and provides rich scriptural truth to encourage us in our battle against discontentment. Fighting for contentment is a daily struggle that began in the Garden of Eden. Kruger reminds us that Eve saw, coveted, took, and hid. How often do we see our sisters in Christ and covet their looks, possessions, status or circumstances? We need to guard against the comparison game as we are bombarded daily with reminders of what we are lacking, especially with the growth of social media. "I originally decided to read this book to gain insight into exhorting others but quickly gained counsel for myself through its pages. The overall theme is Gospel-centered counseling, but honestly, I found it to be a reminder of how the Gospel can be applied to all aspects of life. "As I have struggles with my own restlessness and anxiety as a wife, mom of 4 girls, business owner, church and community volunteer, I have found stress lives at the doorstep of my mind. "Possibly one of the most poignant and meaningful books on the second great command of Jesus: to love your neighbor. Rosaria Butterfield gives deep insights to her life without Jesus, as a former feminist and former lesbian, her redemption story and the transformation Christ did in her life, her neighbors’ lives and her marriage. "In His Image" by Jen Wilkin is about 10 ways God calls us to reflect His character - 10 ways we can know and show parts of who God is to others. And although I firmly believe that God will always ultimately remain a mystery to us, I am so grateful to be reading what she has already learned from God. She has such a sweet and simple way of writing, and this book is full of beautiful truths. By using her practical life and mom experiences, she helps us understand these traits that otherwise might not seem like much. 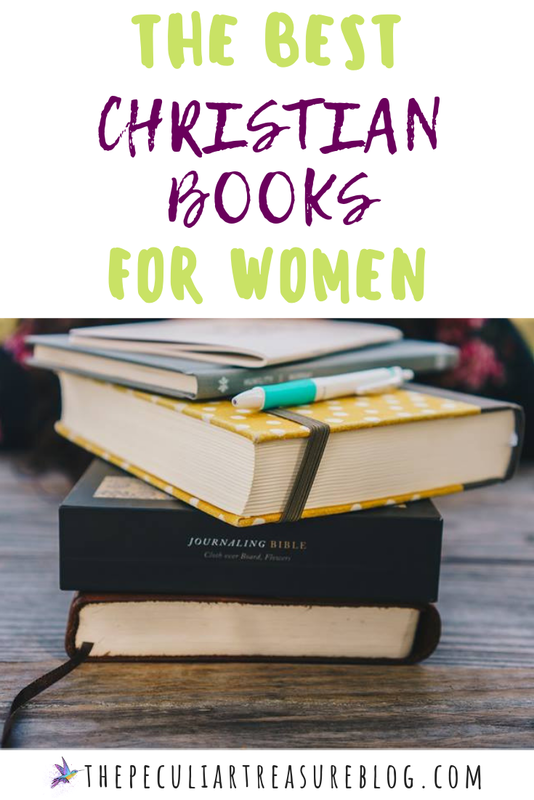 I feel quite confident that any of these books would be encouraging, helpful, and spiritually-strengthening for women to read. Next on my list is "The Gospel Comes with a House Key", though nearly all of these titles are on my 2019 reading list! Which one(s) of the books on this list are most appealing to you? Which ones have you already read, and which ones would you like to read? I'd love to hear from you in the comments!